In a calculated move to undo a historic arms control agreement, Donald Trump in his State of the Union address earlier this month announced American withdrawal from a bilateral Intermediate-range Nuclear Force Treaty signed with Russia in 1987. Originally called the "Treaty between the United States of America and the Union of Soviet Socialist Republics on the Elimination of their Intermediate-Range and Shorter-Range Missiles," it was later shortened to much less of a mouthful as the INF Treaty. 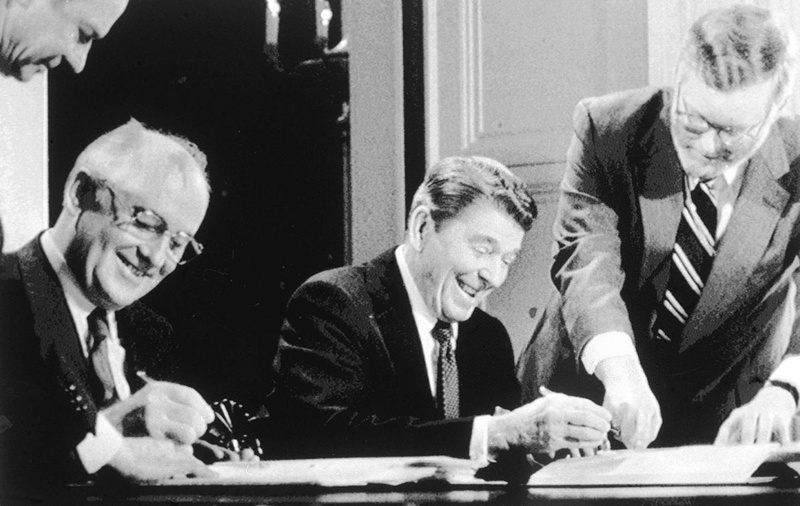 It was the last major agreement signed by the former leader of the now defunct USSR Mikhail Gorbachev with American President Ronald Reagan, surviving for more than 30 years and saving the old Cold War adversaries from a potential nuclear exchange in Europe. The treaty banned the development of both conventional and unconventional land-based short and intermediate range cruise and ballistic missiles within a range of 500 and 5,500 km. It also provided for the dismantling of existing stockpiles, and the two sides did actually destroy hundreds of their missiles falling in the prohibited category. The agreement was reached after seven years of negotiations and served as a key plank in upholding strategic stability towards the end of the Cold War, including that of the former Soviet Union during the early years of the volatile post-Soviet era. The landmark deal is now on its way to extinction in less than six months, unless immediate steps are taken by the U.S. and Russia to save it. However, it is unlikely either will lift a finger to save the treaty because, arguably, it has outlived its utility. The idea to let the INF Treaty fade into history is strategic. Two successive U.S. administrations of Barack Obama and Donald Trump – Democrat and Republican - share similar views on the agreement. In other words, the defense and strategic elites in the U.S. are convinced that it no longer serves the country's interests. 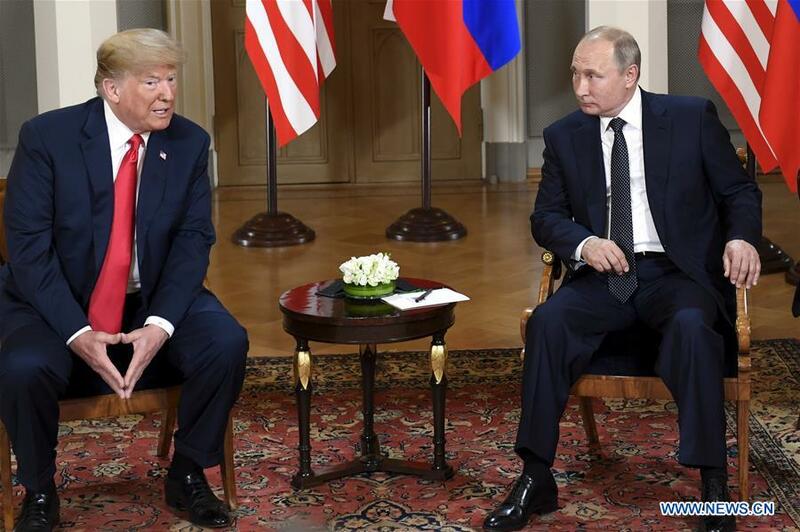 The U.S. believes that not only Russia under Vladimir Putin has violated the treaty and developed supposedly-forbidden weapons, but other countries not covered in the treaty are taking undue advantage of the restrictions on the U.S. Particularly interesting is the situation in Asia-Pacific, where U.S. considers China as a strategic competitor. The missiles program of the Democratic People's Republic of Korea (DPRK) is also cited as a reason to break the treaty's shackles. Several other countries including India, Pakistan and even Iran are developing short and intermediate range missiles, worrying the U.S. policymakers who pushed for either scrapping the deal or expanding it to include other countries. As convincing non-signatories to join up is not possible in short term, the easiest course is to withdraw the INF Treaty, while seeking to create an environment where all stakeholders are prepared to join a renegotiated version. In the meantime, the U.S. can develop new weapons that can be deployed not only against Russia but also in the Pacific to put pressure on China. Development and deployment of new short and intermediate-range missiles will usher in a new arms race involving not just the U.S. and Russia but also several other states, unleashing a costly and competitive race without an end in sight, creating strategic instability and unpredictability. In order to avoid the unforeseen hazards of such new arms struggle, the major players have to ultimately plan a new initiative for a multilateral replacement for the bilateral agreements of the Cold War. This is logical given the growing multilateralism in the world. The INF treaty was not inclusive in terms of its members and has options to find alternatives to the banned class of missiles. The shorter range and intercontinental missiles below and above the INF treaty limits were not covered by it. The basic flaw lies in the prohibition applied to the delivery system of a particular type. Even the signatories could use more deadly weapons by mounting them on aircraft and ships. Despite weaknesses, it would have been better to devise a system to remove the shortcomings in the treaty by adding a protocol to it rather than simply scrapping it. But it should not be the end of it. Let there be a debate how to plan a more inclusive agreement to save the coming generations from the arms race in this category of weapons.